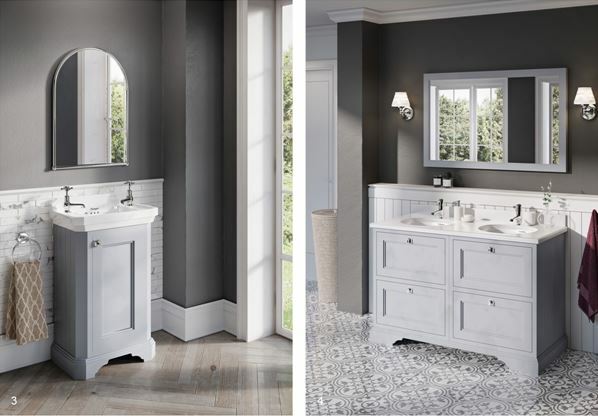 Inspired by the eras of great British design, Burlington combines timeless, traditional style with modern functionality across the range of fitted and freestanding furniture options. 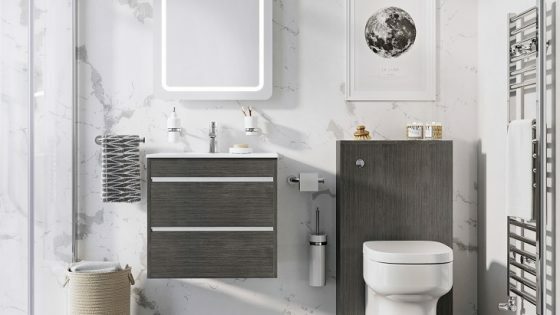 With a firm belief that the bathroom should provide the perfect place to relax from the demands of the day, every piece in the Burlington furniture collection is designed to transform everyday routines with ease. Available in a range of design styles, from square or curved silhouettes to wall-hung units, cloakroom solutions and fully fitted furniture; storage options are available to meet the individual requirements of any space. 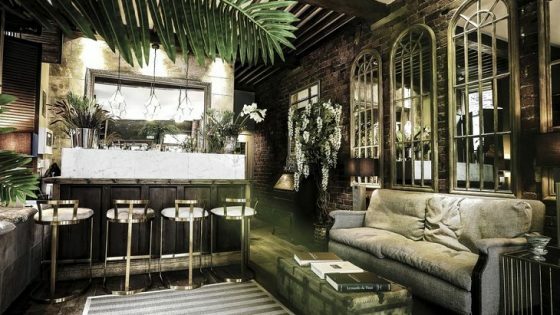 Presented in four trend-conscious colours including classic Matt White, soft Sand, rich Dark Olive and the new Classic Grey finish, each piece of furniture is treated with five layers of paint to protect against colour fading and ensure a glorious depth of colour. 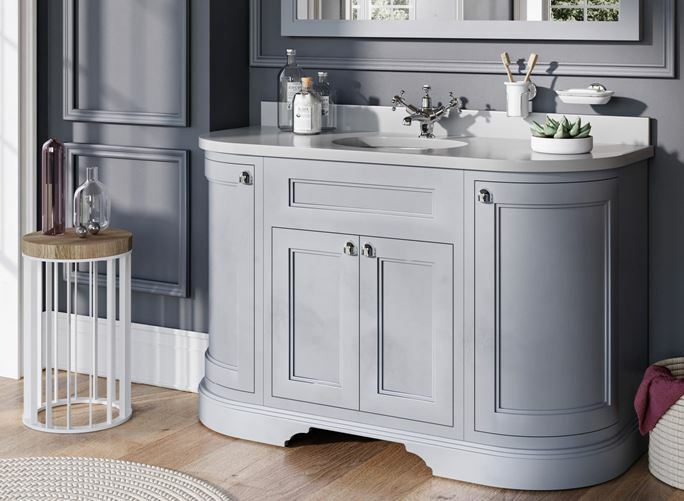 Designed to complement the furniture, Minerva basins and coordinating worktops provide the perfect finish to the collection and ensure a statement in sophisticated, traditional style. Made from the finest materials, the Burlington furniture range is provided with a 10-year quality guarantee that ensures each piece will stand the test of time in your home.